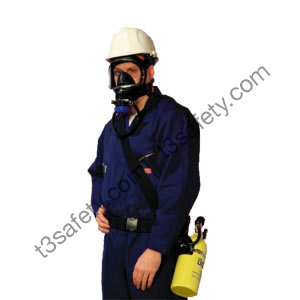 Our wide selection of SABA offer emergency respiratory protection for a variety of industrial applications, hazardous materials handling, petrochemical, and confined space operations. They are all designed for use in hazardous atmospheres including those identified as immediately dangerous to life or health (IDLH) – environments with little or no oxygen, with high concentrations of contaminants, or where concentrations of contaminants are unknown. 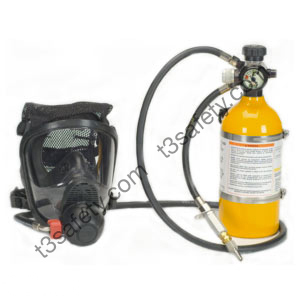 SABA’s are a combination supplied air respirator and escape SCBA for entering and working in Immediately Dangerous to Life and Health (IDLH) atmospheres. 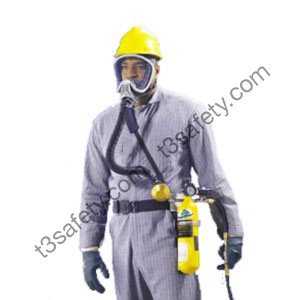 The airline allows for extended work activity while the escape cylinder provides 5 or 10 minutes of emergency escape breathing air. SABA cylinder’s low profile do not interfere when entering or exiting tight places. All of our SABA Cylinders are filled with fresh, ambient air compressed to the Grade D standards of the Compressed Gas Association, and tested to the CSA 180.1-00 Standards. Current copy of our Breathing Air Analysis is available here. 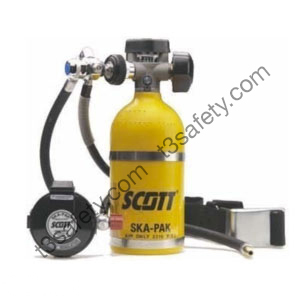 The Scott Ska-Pak comes complete with AV2000 Mask, harness assembly, escape cylinder and a brass Hansen plug for quick air hose connection/disconnection. 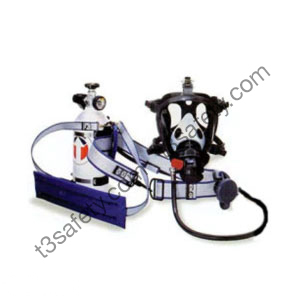 The MSA Hip Air comes complete with Mask, harness assembly, escape cylinder and a brass Hansen plug for quick air hose connection/disconnection. The MSA PremAire Cadet comes complete with Mask, harness assembly, escape cylinder and a brass Hansen plug for quick air hose connection/disconnection. The Draeger ALE comes complete with Panorama Nova Mask (EPDM), lung demand valve, harness assembly, escape cylinder and a brass Hansen plug for quick air hose connection/disconnection. The Drager Welding Shield attachment is designed to accept 4.5” x 5.25” welding plates. 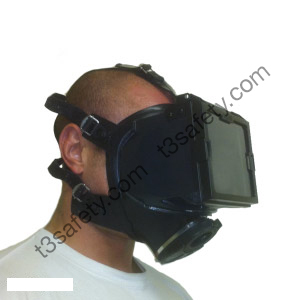 Shields can be attached or removed quickly and easily from Drager Masks. No special tools are required. The Survivair SAR SABA comes complete with Panther Mask, harness assembly, escape cylinder and a brass Hansen plug for quick air hose connection/disconnection.